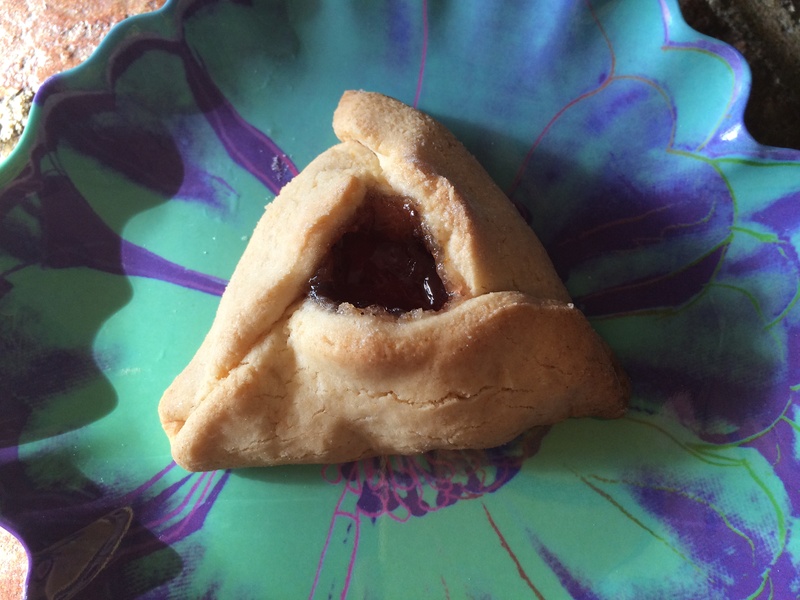 Gluten-Free, Dairy-Free Hamantaschen for Purim! Purim is such a weird holiday. I had heard of it randomly, but the first time I learned what it was actually about was when we moved to LA and my daughter’s pre-school was celebrating. I always knew it was considered a “kid’s holiday” but wow, the story behind Purim—so not kid-friendly. Which she did. Because, you know, it tastes exactly the same. The look, however, is supposed to resemble Haman’s (Boo!!!) hat. The evil advisor who tried to kill off all of the Jews. Again, we’re making a COOKIE that looks like this evil guy’s HAT. Not sure how that happened to become a tradition, but it sure is yummy. Regardless, making gluten-free hamantaschen is super easy (unless you’re an 8-year-old girl, apparently) if you follow The Shiksa’s instructions and my recipe below substituting ATK gluten-free flour. I also decided to go dairy-free because when you’re working with gluten-free dough, the butter just makes it less workable. So bonus! One note, check the cookies after 18 minutes if you’re using the dairy-free recipe, these babies cook fast! 2. In a medium bowl whisk together eggs, sugar, vanilla, oil and orange zest. 3. Using a sifter, pour flour, baking powder and salt inside and sift on top of liquid mixture. Using a wooden spoon mix together until crumbly. Add water a small amount at a time if mixture is too dry. 4. Knead dough until smooth, then transfer ball to gluten-free floured surface. Flour rolling pin and roll out dough to 1/4-inch thick. 5. Using a 3″ round cookie cutter, cut circles in dough and transfer to lightly greased cookie sheet. 6. Using a teaspoon, place one teaspoon of preferred filling (I used chocolate almond butter and pomegranate jelly) in the center of dough round. 7. Fold left edge of circle until it almost hits the center. Fold right edge over to create a pyramid. Fold the bottom edge up to meet the other sides, folding one side under the right and over the left. Pinch the ends. 8. Place on a cookie sheet and bake for 18-20 minutes until golden. Tags: gluten free cookies, gluten free dessert, gluten free holidays, gluten free junk food, gluten free recipes, gluten-free holiday. Bookmark the permalink. This is a really great recipe. 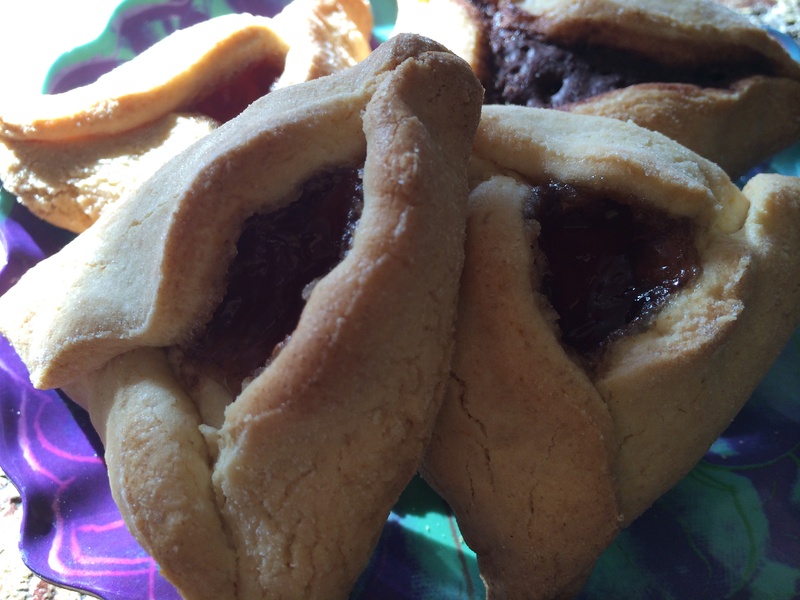 I have a Jewish boyfriend, and he wanted Hamantaschen for Purim. I made these, and they turned out perfect! Thanks! We have to be dairy free due to allergies. I noticed the ATK flour blend contains dry milk powder. Do you leave that out? I can’t do dry milk anyway due to cross reactivity with my MSG allergy. I want to try these with lemon zest as I have one child allergic to oranges. I did some more research on gluten-free all-purpose flours and found only a few that are also dairy-free (minus the milk powder). They include Bob’s Red Mill and Pamela’s new Artisan gf, df flour blend as well as some other smaller batches that may be hard to find. Or for a very, very simple blend (not my fave, but it will work) combine 1/2 cup white or brown rice flour, 1/4 cup tapioca flour and 1/4 cup cornstarch or potato starch and use as your df, gf flour blend. We made the recipe yesterday with Pamela’s Artisan gf and they came out great. Loved them right out of the oven, but crispier than we’re used to. We covered the rest and stored them in the fridge, which softened them right up. Even better the next day. Thanks for the recipe! Good suggestion. I like to avoid gums, but they are in recipes for a reason. Oopsie! That d*** spell checker. Add some xanthum gum: probably 1/2 tsp. What a great recipe!! I just made these with my daughter and they turned out great! They were ready in just 11 minutes….very quick. Never used KAF blend! Anyone else? My dough was really sticky! I ended up putting spoonfuls of dough on the parchment paper and pushed a GF/DF chocolate chunk in the center. I couldn’t roll the dough to make the triangles. What could I have done wrong that made the dough so sticky? They tasted good though. It might just be where you live? I’m in very dry California so I had no issues, but I’m wondering if I’d been in Texas, where everything is damp, if it would have been the same. Maybe cut down on the liquid and see if that works! There is a lot of humidity in South Florida so that could be an issue. Thanks. FYI……I had to bake 6 doz for a cookie party but was going to be out of town for 6 days until the night before the party. I made them the night before we left and froze them. I had made a couple extra to try that morning in case I had to bake new cookies at the last minute but they tasted great defrosted! Hey all – Rachel here again. I am trying these year 2 as we speak (KAF flour was great last year; this time I’m using Trader Joe’s GF flour (will report back)) and I’m having the same issue with stickiness described above…added a lot of extra flour. I’m in SoCal too but it’s a more humid day than usual so perhaps that’s it, or it’s the flour I chose. Back soon with results and happy Purim! Let me know how it went! It has been humid, and totally gross. 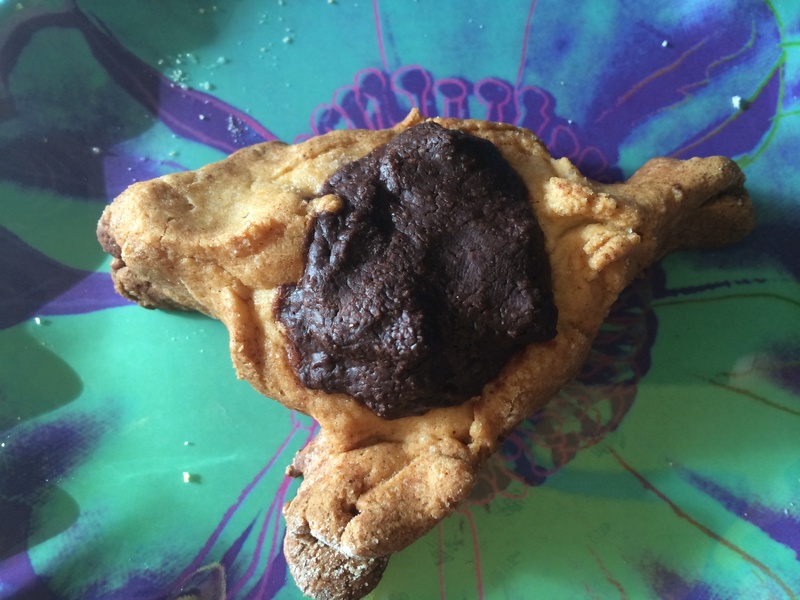 So the Hamentaschen had pretty good flavor but the texture was a little gritty. I’ll chalk (no pun intended) it up to the flour brand and the extra flour I had to use to firm up the dough. Every time stray from KAF I’m sorry! Oh well. 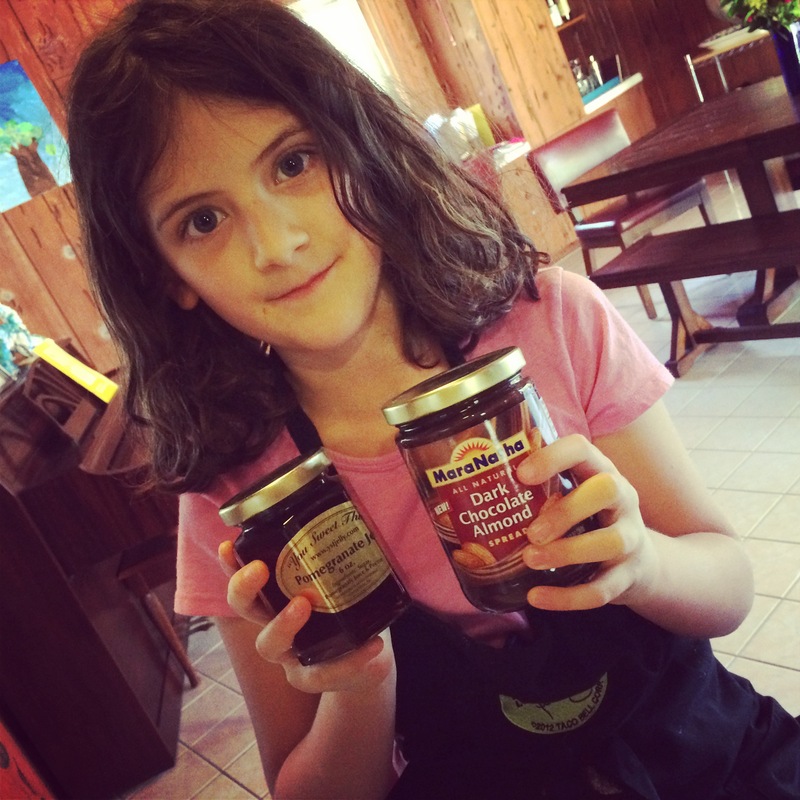 I might try again sooner than next Purim…it’s a great recipe! Ha! Love Purim too. It’s really a special time. You can definitely use butter. I don’t know the exact measurement, but I would experiment with a similar amount to the oil.